The nation’s leading Managed Print Services (MPS) company for health care, announced today that the company will be exhibiting in booth #3486 at the 2013 Annual HIMSS Conference & Exhibition at the Ernest N. Morial Convention Center New Orleans, 900 Convention Center Blvd, March 3-7. CynergisTek’s President and CEO, Joseph J. Flynn and Simon Vermooten, Executive Vice President of Business Development and Solutions, and other corporate executives will be available to discuss and demonstrate the key elements of its unique MPS program for hospitals that will save their customers more than $70 million over the life of their existing contracts. CynergisTek is the preferred MPS company for some of the nation’s most prestigious multi-campus hospital systems including Catholic Health East’s 19 hospitals, spanning the entire East Coast from Maine to Florida, Bon Secours Health System’s 14 hospitals in six states, Barnabas Health’s six hospitals in New Jersey, Sharp Healthcare with seven hospitals in Southern California, Memorial Health System in Colorado and many others. As the only vendor neutral, health care exclusive MPS company in the country, CynergisTek is at the forefront of providing specialized knowledge of hospital print environments by its highly skilled and trained personnel which ensures cost reduction through continuous process improvements to substantially reduce the production of documents.The company assumes all expenses related to the production of documents in hospitals, including services, supplies, equipment, legacy service agreements, parts, finance charges and labor. 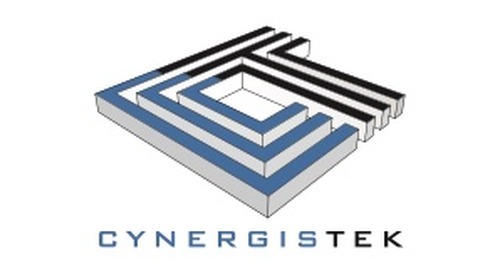 CynergisTek has over 80 hospitals in its growing national portfolio and manages over 1.5 billion documents annually while managing more than 45,000 devices from multiple manufacturers and serving over 250,000 caregivers from coast to coast.